A new brand in town that was launching its flagship store in a prime residential hub. They had a concept in mind, but needed a full-fledged go-to-market identity. They needed a creative agency partner who understood the challenges of brand identity and tactical market penetration. They wanted to target the new-gen, health-conscious audience, but needed a communication strategy that would appeal directly to them. We started with the basics and designed a fun logo with a catchy tagline – one that would maximize brand recall. Keeping the primary target audience in mind, we developed the entire end-to-end brand identity using design aesthetics and to-the-point communication. 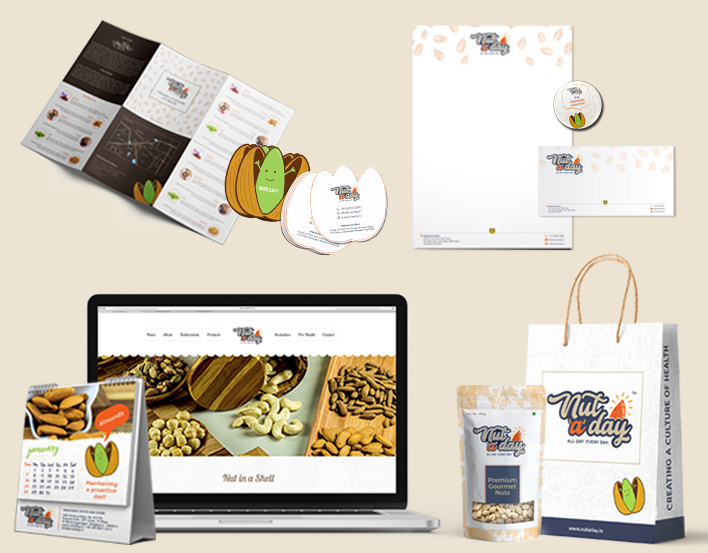 To complement in-store branding, we even designed and developed posters, banners, visiting cards, notebooks, pillows and other paraphernalia that could be handed out to customers as mementos. All our creative efforts were poured into the launch of the flagship store, right from branding to packaging and design. The launch was a resounding success as the store experienced more footfalls than previously expected. Amidst the high turnout, the new brand made an instant impact and maximized recall on the spot.